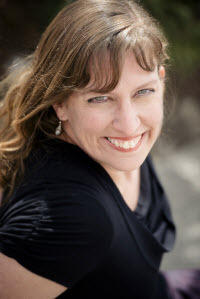 We’re back for another round of Getting to Know My Clients — this time, I’m delighted to feature Susan Adrian, whose debut YA novel sale we just celebrated! From her bio: Susan Adrian is a 4th-generation Californian who somehow stumbled into living in the wilds of Montana. In the past she danced in a ballet company and worked in the fields of exotic pet-sitting, clothes-schlepping, and bookstore management. She’s settled in, mostly, as a scientific editor. When she’s not with her family, she keeps busy researching spy stuff, learning Russian, eating chocolate, and writing more books. You can visit her website at http://susanadrian.blogspot.com. I’m hoping to be able to dive back into edits on THE TUNNEL, my YA thriller, soon–I’m so excited to revisit this book now that we’ve sold it! (yay!) But right this very minute I’m working on edits for Something Completely Different, a middle-grade book about a girl whose debut as Clara in the Nutcracker goes a little differently than she planned once magic gets involved. It’s as fun as the other book in a completely opposite way. There can never be Just One. The books that I read to pieces were Susan Cooper’s DARK IS RISING series and Madeleine L’Engle’s WRINKLE IN TIME books. I’m fortunate enough to be able to re-read them now with my 11-year-old daughter, and they’re still just as amazing. I’m a little scattered at the moment. I’m re-reading BALLET SHOES by Noel Streatfeild, and simultaneously devouring ETIQUETTE AND ESPIONAGE by Gail Carriger and GAME by Barry Lyga. All count as research, right? Do you work with a critique group/partner? I do! I’ve been lucky enough to have been part of a support group of fabulous writers, Team Sparkle, for years. I’d feel naked if I sent a book to you without having had other eyes on it first to catch the Dumb Things I miss. Though for the middle-grade book I branched out and had totally different people, who are more focused on middle-grade, read it for me. Pantser. I start with a character in a situation and see what happens. It makes for messy revising sometimes, but that way the story tells itself to me as we go along. What’s your memory of how we started working together? How did our first submission go, etc.? I remember feeling like I’d finally found the perfect agent for ME–which, after 3 years of subbing and working on other books with no progress, was pretty wonderful. The first submission, THE TUNNEL, took a long time to find the right home, but I’m so, so thrilled that we did in the end. It wouldn’t have happened without your patience and persistence! <33! Ha! Well, I’m crazy. So in addition to the writing and the family and the full-time job, I’m learning Russian and singing in a choir for the first time. I like to stay busy. What’s a random weird fact about you? It’s maybe not random considering the book I’m working on now, but I was a serious ballet dancer through my childhood, until I was 16. I was in a company, and I DID get to play Clara in the Nutcracker! 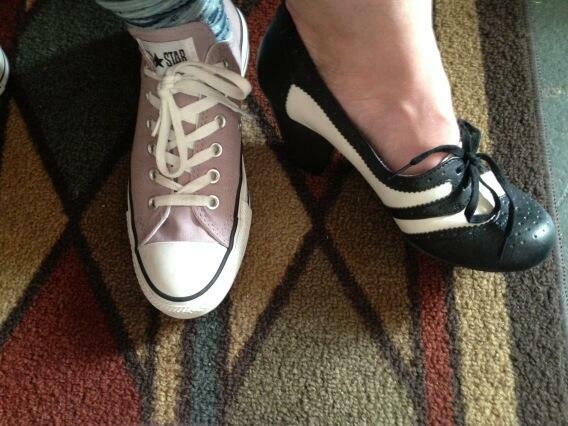 And, of course: favorite pair of shoes? Dog or cat? Dog! Your puppy pictures are killing me with cuteness. Coffee or tea? Coffee mostly, though I do like a cup of tea in the afternoon. Coke or Pepsi? COKE. No mixed answers on this one. Pepsi is *wrong*! Wheat or White? Wheat! I grew up with wheat, so white tastes like marshmallow fluff. Morning or night? Morning. I get up before everyone and write, in the dark and quiet. It’s lovely. Star Wars or Star Trek? Um. First Star Wars movies and Star Trek Enterprise. Hogwarts or Narnia? Another both! Narnia is a staple of my childhood, but Hogwarts is so perfect. And finally, six word memoir. Go! Plays with words and enjoys life. As always, wonderful to hear from the lovely Susan Adrian! Love these interviews. Nice interview, Susan and Kate! My mom stuck me in ballet lessons when I was five or six, but I only lasted for a few months. I regretted quitting by the time I was sixteen!